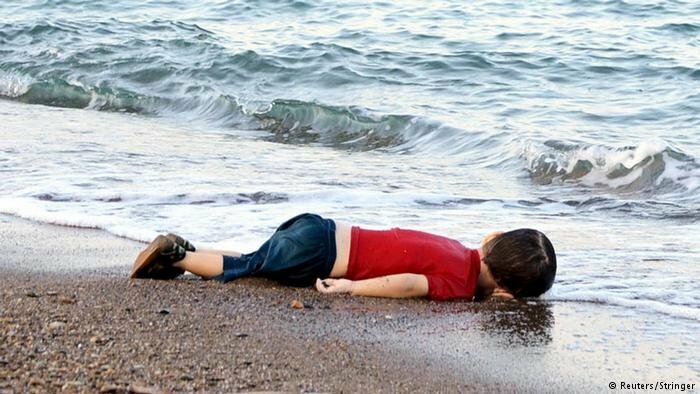 The photograph of three-year-old Alan Kurdi's lifeless body washed up on a Turkish beach shocked the world in 2015. A German rescue organization has now named a ship after the toddler. A German migrant rescue ship operating in the Mediterranean was renamed on Sunday after Alan Kurdi, the three-year-old Syrian Kurdish boy whose lifeless body washed up on a Turkish shore during the height of Europe's migrant crisis, galvanizing global opinion. 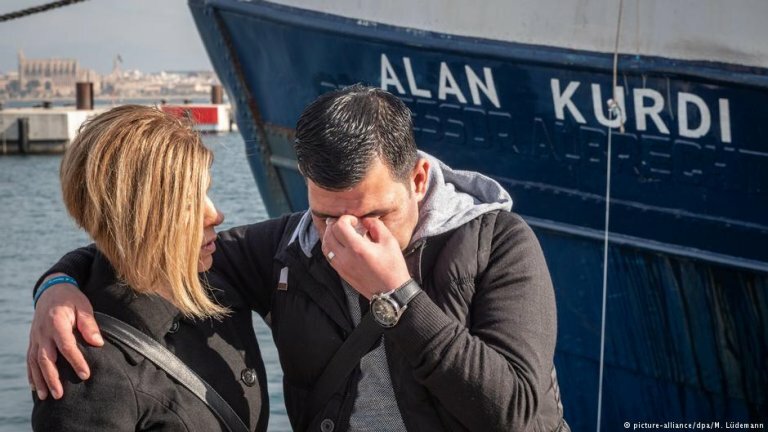 German charity Sea-Eye renamed the ship in the presence of Alan's father, Abdullah Kurdi, and aunt, Tima Kurdi, in Palma on Spain's Balearic Island of Mallorca. Abdullah had fled the "Islamic State" and the Syrian civil war, deciding in 2015 to pay people smugglers to take him and his family from Turkey to Greece after Turkish authorities didn't grant the family the exit visas needed to join Tima in Canada. The tiny boat capsized minutes after leaving Turkey, killing eleven people including Abdullah's wife, Rehanna, and two sons, Ghalib and Alan. A photograph of Alan's lifeless body face down in the sand on a Turkish beach shocked the world, becoming a symbol of the migration crisis and rallying cry for humane action. Sea-Eye says it has saved more than 14,000 people from drowning during dangerous boat crossings in the Mediterranean since it started operating in 2016. The rescue ship was previously named Professor Albrecht Penck.